I am sure this question has been asked before. So, my apologies for the redundancy. 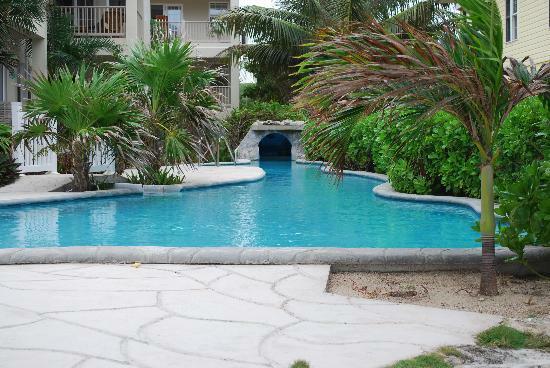 I am heading to Ambergris Caye in late May with some friends. We are staying in a beach rental just north of San Pedro. I am planning on bringing a few rods with me to fish from the shore for bonefish and to kayak out to the inner part of the reef for reef fish (jacks, cudas, snapper....etc). What kind of tackle should I bring with me for doing this type of fishing? Also, I would like to do some night shark fishing from the beach (catch and release). What type of rod and reel should I bring for that? I wasn't sure how big the sharks are. Thanks! Please don't fish for sharks. There are rules, and I'm sure better people than I can fill you in. My understanding is you need a license anyway. In support of Gwen A's reply: please don't target sharks when you are in Belize, not even for catch and release. We have studied them for 16 years in Belize and can asset that their populations are in poor shape. Many species do not fare well when played during capture with many animals dying post release notably hammerheads of which we have very few left in our waters. Furthermore, you need a special license for shark fishing which has only been extended to a select number of artisanal fishers from the region. Our reef is very important to us in Belize. One of the ways we keep it healthy is by protecting our apex predators. This is one of the reasons shark fishing licenses are few and far between. You'll find that people here love our sharks and wish to protect them, so please, respect our reef and our local culture and don't fish for sharks. I was not aware that the sharks population wasn't in good shape. I won't be targeting sharks anymore during my stay. I appreciate the heads up. Can anyone provide any feedback regarding my first question (non-shark fishing)? You should bring a +- 9'9wt fly rod for bonefish. Since you are North, Check out El Pescador, I think they have a wide selection of flies/gear. Best bet for success is to hire a guide, he will take you to where the fish are and hook you up. I recommend Abbie Marin at Go Fish Belize. Well worth the $$. Will a guide provide all the tackle or do I need to bring my own? If I brought my own would it reduce the cost any? A guide will supply everything which reduces the hassle of bringing all that "stuff" down with you. It will not reduce your cost, but well worth not having to haul your own........definitely go with a guide, you won't be disappointed. Agreed. Each fly alone can run you $10, and if you are lucky, you might lose $50 worth in a day. (That would mean you hooked up with five very nasty bones, which is the essence of why you want to do it...) I am booked to bonefish next month in the Bahamas, and they charge $90 for rental of gear, and I still paid for it. FWIW, I think Abbie charges $275 for half a day, $375 the whole day either at the reef or the flats, gear included, bring your own lunch.